Today’s females have more options than ever when it comes to family planning and birth control. The female physicians of Mission Obstetrics and Gynecology will present you with several options and help you select the right method for you. At Mission OB GYN in Warren, Michigan, we offer the latest advances in contraception, including temporary (intrauterine devices, Nexplanon®) and permanent (Essure®) methods. If you are looking for a nonsurgical, reversible birth control method that lasts three to five years, IUDs may be your best bet. An IUD is a T-shaped plastic device placed into the uterus during an office visit. The procedure takes minutes and is 99 percent effective in preventing pregnancy. IUDs work by thickening cervical mucus to block sperm entry into the uterus; the synthetic hormone progesterone (progestin) adds an additional level of protection for any sperm that may make it past the cervix. A hormone-releasing IUD that also treats heavy menstrual bleeding (menorrhagia); many women using Mirena® stop having their periods. Kyleena® releases less hormones each day than Mirena®, but more than Skyla®. If you prefer to keep menstruating while on long-term birth control, this hormone-releasing IUD may be the one to choose. Skyla® is smaller than either Mirena® or Kyleena®, and releases the least amount of hormones. It may be more appealing for women who have not had children and wish to keep having their period. Essure® is a permanent, non-reversible method of sterilization that is performed in the office. It does not use incisions or hormones. Instead, tiny coils are placed in the fallopian tubes, which create a barrier that prevents sperm from reaching an egg. Essure is just one of the advanced treatments we are proud to offer at Mission Obstetrics and Gynecology. If you prefer not to think about birth control every day, week, or month, then Nexplanon® may be right for you. Nexplanon is a single rod that contains a contraceptive hormone. It is inserted in your arm during a short in-office visit and lasts for up to three years. Nexplanon is not noticeable, providing you with a discreet method of birth control. Ask your doctor if Nexplanon is right for you. 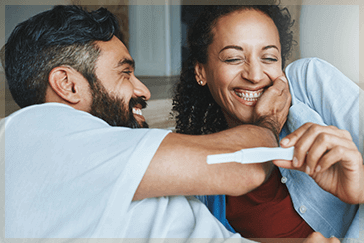 Call Mission OB GYN today at (586) 574-1313 to request an appointment to discuss family planning options with our informed and friendly specialists.